An iPad Mini starts at $329. 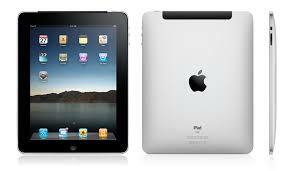 Apple launched the contemporary tablet market in 2010 with the iPad -- three years after introducing the iPhone. But despite the widespread availability of tablets and smartphones today, Gannett Blog users overwhelmingly still prefer to read this site on their desktop machines. Makes me believe that a majority of your readers are over the age of 40 or are viewing from a desktop at their place of employment. Judging by the level of denial about the demise of the newspaper industry, the average age of this site's readers is north of 60 at least. Format is just better on desktop than on my tablet. For example, you don't see all the most recent comments posted on the right column on a tablet, only on desktop. I love my tablet and still use it for accessing the Gannett blog but prefer desktop.